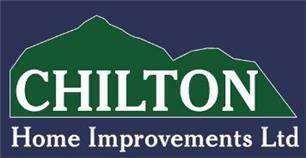 Welcome to Chilton Home Improvements - Specialists in all aspects of home improvement. We are a family run business with over 12 years of experience in the trade, covering most areas of home improvements. We are a local business and pride ourselves in making sure that you get exactly what you ask for and to the quality you deserve, continuously striving for 100% customer satisfaction, and are very proud of our reputation. We cover a vast area of Buckinghamshire including, West Drayton, Aylesbury, Uxbridge, High Wycombe, Amersham, Ruislip,South Ruislip, Ruislip Manor, Northwood, Eastcote, Harrow, Reading and Denham. Please do not hesitate to contact us to ask any questions you may have, or to arrange a free quotation whenever the time is right for you, for individually tailored advice based on your specific needs. Kind regards - James Smith.